How do you know that California’s housing problem has hit crisis proportions? When state lawmakers introduce more than 130 bills to try and fix it. The state’s housing market has long been unaffordable for far too many Californians. But in recent years, the problem has become impossible to ignore. Rapidly rising rents are forcing more residents to spend a staggering percentage of their take-home pay to keep a roof over their heads. Financial advisors recommend spending no more than 30% of your income on housing, but one in three renters in California pays more than half of their income to their landlord. Plus the greatest job growth has been in coastal cities that have the highest housing costs, forcing workers to pay more than they can afford, commute long distances or forgo career opportunities because the cost of living is too high. The crisis may be most visible in the growth of tents and RVs clustered along city streets as homelessness has risen in California in recent years, even as it has declined elsewhere in the nation. At the heart of California’s housing crisis is a mathematical problem: There are simply not enough homes for the state’s population. Housing construction has failed to keep up with demand since the 1980s, and the problem has only worsened in recent years. Over the last decade, California has built about 80,000 homes annually — about 100,000 homes a year short of what was needed. Over the last decade, California has built about 80,000 homes annually — about 100,000 homes a year short of what was needed. Why? Various studies have pointed the finger at local governments, where measures to combat sprawl and protect the environment, red tape, community concerns and outright NIMBYism have severely limited housing construction. Those bottlenecks have persisted because housing decisions are largely local decisions. Cities and counties determine what gets built where through planning and land-use policies. Local elected officials can encourage housing construction, or they can slow it — which is often the case in the state’s coastal regions. The number of houses and apartments in Los Angeles and San Francisco grew by just 20% between 1980 and 2010, compared with 54% in typical U.S. metropolitan areas. No surprise, these are among the two most unaffordable cities in the country. State lawmakers have decided they can no longer sit on the sidelines and let the shortage get worse. Traditionally, legislators have tried to address the state’s housing problem by providing money to build more affordable housing. This session there are proposals to issue housing bonds, impose a real estate transaction fee and eliminate the state’s tax deduction for mortgage interest on second homes — all of which would generate hundreds of millions of dollars for low-income housing. But there’s no way the state can subsidize its way out of the housing crisis; doing so could cost upwards of $250 billion, according to the Legislative Analyst’s Office report. Gov. Jerry Brown put lawmakers on notice: He won’t sign new housing funding bills without statewide changes that make it easier, faster and cheaper to build new housing. Brown is right to demand reform. In Sacramento, lawmakers are removed enough from the local development scrum to craft broad policies that encourage or even mandate housing that fits California’s broader goals and needs. That means pushing cities to approve more housing near transit and job centers to reduce greenhouse gas emissions by making it easier for people to forgo driving. It means adding teeth to existing state laws that require cities to produce enough housing to meet their population growth. It means putting cities and counties that build enough affordable housing first in line for parks and infrastructure funding. Despite all the attention on the state’s housing crisis, legislators and Brown are still avoiding some of the most controversial and, possibly, effective reforms. 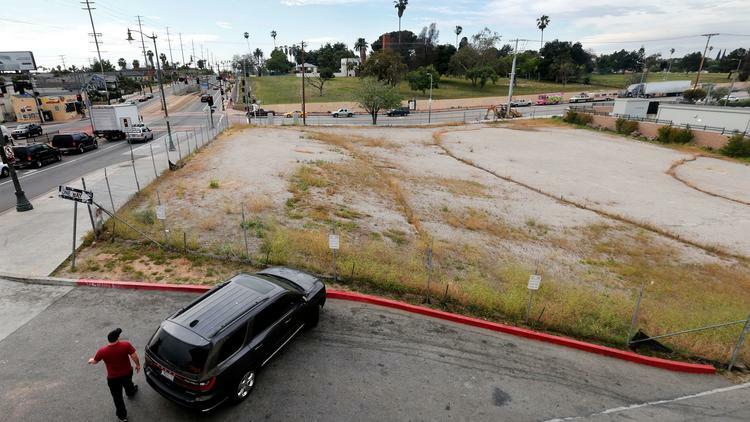 What about changes to the California Environmental Quality Act, which is too often used to block or shrink infill, transit-adjacent housing developments that are exactly the kind of environmentally-friendly projects the state needs? What about reviving some version of California’s redevelopment agencies, which allowed cities to target investment in certain neighborhoods and generated about a billion dollars a year to build affordable housing? And what about Proposition 13? The cap on property taxes was supposed to make it easier for longtime residents to stay in their homes, but it has also pushed up the cost of new housing construction as cities have layered on development fees and assessments to pay for infrastructure. If California leaders are serious about ending the state’s housing crisis, every possible solution should be on the table.